can you modified any stock one to use with high flow pump? There is a fella (a Pantera owner) on eBay who is currently selling modified Robertshaw thermostats with the correct ring on the bottom that fits into the flow restrictor. They're not cheap, at about $65, but they are a perfect fit. Hopefully this info will help someone with the same question. They also make a standard flow version thermostat with the correct hat on the bottom. You could also buy one of the re-engineered bottom plates to work with the 330 series thermostats. 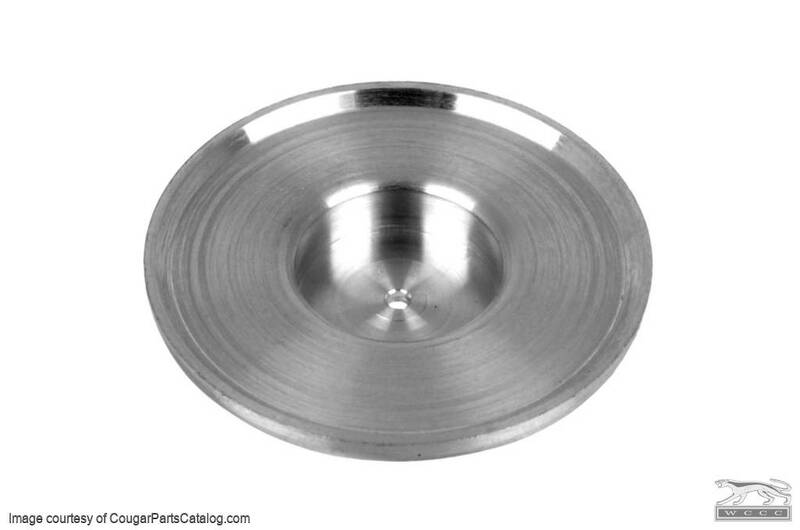 Those are available here http://www2.cougarpartscatalog.com/wate ... plate.html . Just a few other options. Wow, GREAT find, I had no idea about this. Essentially, this fix completely replaces the water restrictor ring with a almost solid plate, then uses a standard thermostat in place of the Cleveland specific one. West Coast Classic Cougar comes through! I'd like to hear from some of engine builders or guys already using this, on replacing the stock brass ring with this restrictor in order to use the cheaper and more readily available thermostats. I found out the hard way about the Cleveland thermostat. Since then no problems. You have to be careful at your parts store. Same Part number for all the small blocks. Some donkey brought me a Pantera so I could build him some Carbon body work and special ducting. He'd installed a SBC in his car with a blower. When I asked why he said the 351C was junk and kept overheating even after he changed the thermostat 3 times!!! !.